"A black moon had risen, a sphere of sleeplessness that pulled at the tides of blood-and invisible explanation for the madness welling inside." The world has stopped sleeping. Restless nights have grown into days of panic, delirium and, eventually, desperation. But few and far between, sleepers can still be found—a gift they quickly learn to hide. For those still with the ability to dream are about to enter a waking nightmare. Matt Biggs is one of the few sleepers. His wife Carolyn however, no stranger to insomnia, is on the very brink of exhaustion. After six restless days and nights, Biggs wakes to find her gone. He stumbles out of the house in search of her to find a world awash with pandemonium, a rapidly collapsing reality. Sleep, it seems, is now the rarest and most precious commodity. Money can't buy it, no drug can touch it, and there are those who would kill to have it. Black Moon is a book which wants to confuse you, and in that sense, it's a soaring success. The thought behind its apocalypse is appallingly plausible: a plague of infectious insomnia has wounded the world, laying almost the lot of us low in the process. Without sleep, the larger part of the population is losing it. Unable "to distinguish fact from fiction," (p.3) to tell dreams apart from reality, the inflicted become zombies, of a sort. Thankfully they're absent that habitual hankering for brains, but "the murderous rage they feel when seeing others sleep" (p.44) has already led to indescribable violence on a scale that beggars belief. 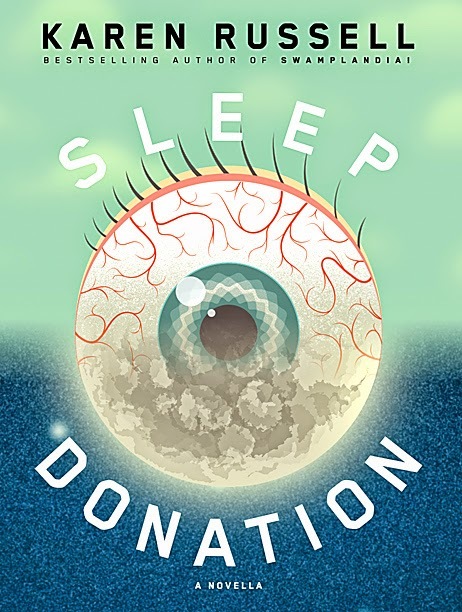 Many in the scientific community were focusing on a known disease—fatal familial insomnia—the idea being that this was some kind of mutated strain of the already mutated variation called sporadic familial insomnia. Whereas FFI was believed to be hereditary and limited to less than forty families in the world, and took up to two years to kill the afflicted, this new iteration seemed to be some kind of unstoppable upgrade. Accelerated, resistant, moving through the four stages of demise at three times the speed. A mystery that is very probably unsolvable, given the worsening condition of those looking into it. Black Moon isn't a long novel. 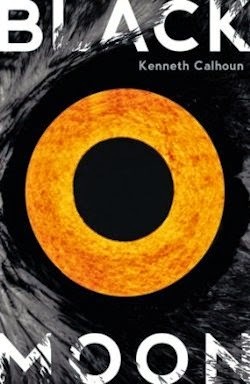 Nevertheless Kenneth Calhoun proffers three diverse perspectives rather than allowing readers to settle into a single just-so story. Of these, we hear from the easiest to like, namely Lila—a little girl sent her away for "her own safety" (p.78) who feels betrayed by her parents—the least. A shame: hers is certainly a familiar figure in apocalyptic fiction, but she's sweet and real and resonant in a way that the other pair of protagonists can't match. Biggs, to begin with, is an advertising executive unaffected by the sleeping sickness who thinks he can trick his partner Carolyn into getting better by taking a handful of unbranded aspirin. He can't. Instead, she tries to kill him, and when all else fails, she runs away—repelled by the arrogance of his character, I can only imagine. Biggs gives chase, taking to the streets in the belief that he can still save her, somehow. Carolyn's trail takes him to a brothel where a lady calling herself Mother Mary claims to be able to sing people to sleep... for the right price. But Biggs, the cynic, knows better than to believe her lies, right up until the point they turn out to be true. Chase is, if anything, even less pleasant. Recently separated from his childhood sweetheart Felicia, his fair-weather friend Jordan—who knows, for no good reason really, that the plague is on the way—convinces Chase that the thing to do is help him steal some stuff: sleeping pills, primarily. But our man has a secondary agenda. Unprepared to face the fact that he may be gay—indeed, the very idea seems to sicken him—he comes to the conclusion that he must suffer from erectile dysfunction, and furthermore, that this was the reason Felicia called it quits with him. In due course he five-fingers a batch of Viagra, swallows the better part of the pack and ends up with—let me try to put this politely—an engorged appendage which won't take no for an answer. I challenge you to care about either of these ghastly characters. And the narrative is all over the place, I'm afraid. 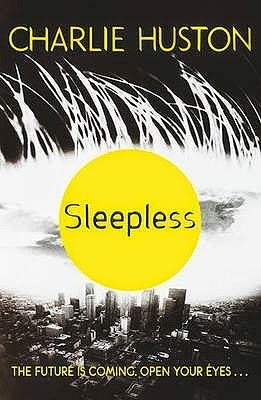 The better to put readers in the slippers of the sleepless, presumably—as an individual in the early stages observes, "the mechanism that puts one minute after another has broken so that now it's just forever in all directions at once" (p.109)—but by dint of this stylistic decision Black Moon feels unfortunately disordered. 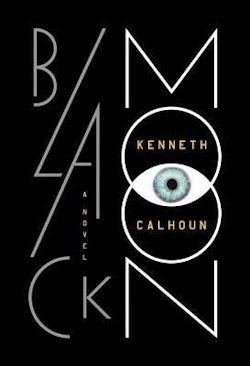 Thus there aren't a great many reasons to push through Kenneth Calhoun's debut. 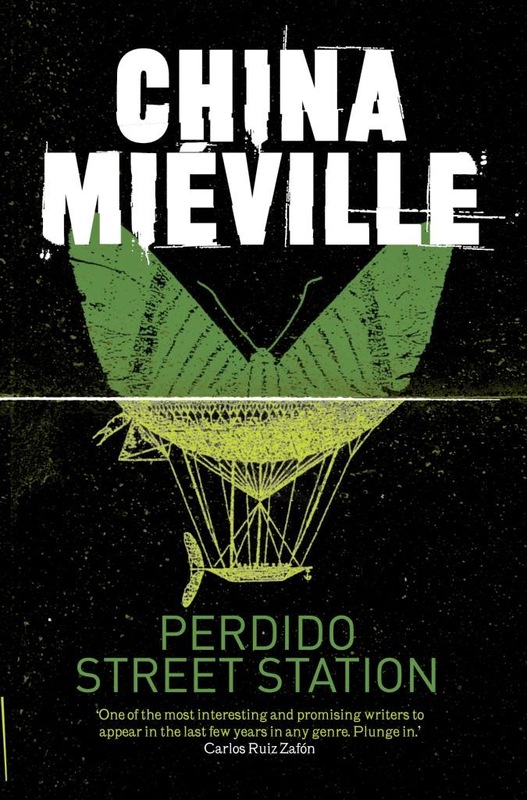 The premise is arresting, yes, but it's been executed better before: in Sleepless by Charlie Huston and China Mieville's Perdido Street Station, among other examples. And though the prose is manifestly impressive—on the sentence level there's quite a lot to like—the author's determination to dazzle is sometimes a bit much. "The pornographic scent of peppermint," (p.97) anyone? I'd pose much the same question to Kenneth Calhoun, in truth.